FALL RIVER, Mass. — The first New Year’s baby born in the South Coast region arrived at Charlton Memorial Hospital in Fall River at 1:29 a.m. on Sunday, Jan. 1, 2017. 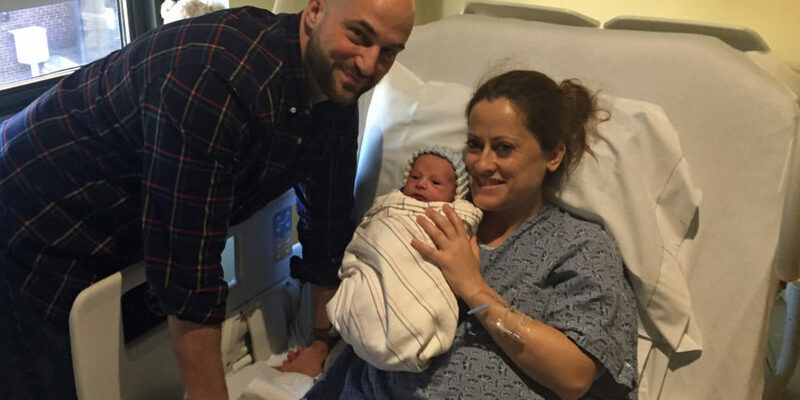 Paula Meireles and Christopher Dion, both of Fall River, welcomed a baby boy, Grant Rodney Dion, weighing 6 pounds and measuring 20 inches. Grant is the couple’s first child. Iromaldi Rodero, of New Bedford, gave birth to a son, Tylor Cordon, at 1:35 a.m. on Sunday at St. Luke’s Hospital in New Bedford. Tylor weighed 5 pounds and measured 19 inches at birth. Tobey Hospital in Wareham welcomed its first baby of 2017 on Monday. Jan. 2, at 7:43 p.m. Wareham’s Jacqueline Ryerson, with her husband, Shannon, gave birth to a daughter, Ally Nancy Ryerson, who weighed 7 pounds, 15 ounces, and measured 20.5 inches. Each of the three New Year’s babies received a $100 gift card to Babies”R”Us donated by the St. Luke’s Hospital Auxiliary, Auxiliary of Charlton Memorial Hospital and the Tobey Hospital Guild.